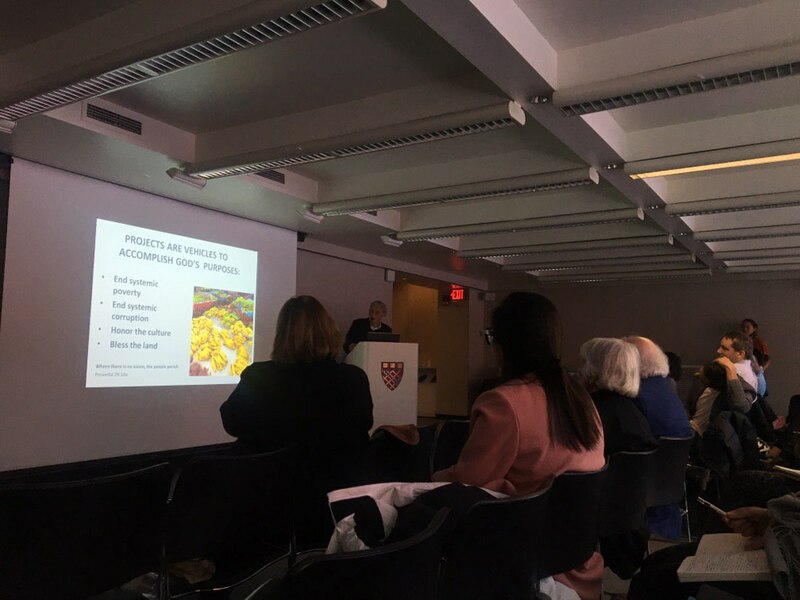 Last Saturday, March 8, Creatio Boston Chapter attended “Faith in Design” conference held at Harvard Graduate School of Design. The conference invited graduate students and practitioners together to discuss the relationship of their spiritual and design practice. The conference was structured by three main themes, 1) Can Religion and Design Coexist? 2) Practicing Faith, Practicing Architecture, 3) Building a Compassionate Environment, and each consisted of presentations and panel discussions. The conference aimed to embrace the three abrahamic religions— Judaism, Islam, and Christianity—and the spectrum of discussion was broad from interpreting architectural design and theory from religious perspective, to testifying God’s guidance in one’s practice. Boston Creatio reflected that it was really graceful that every speaker explained their ideas based on the word of God. At the design school, it’s often regarded as outdated to speak about one’ faith because the practice itself can easily become ego-centric. We are encouraged to be selfish to survive and we are asked to put our work before any other commitment. Students who once believed in God easily become alienated from God because of the intense academic environment and the hostile atmosphere against proclaiming one’s faith. However, the result is that the design school has the highest rate in the number of students complaining of their mental health. The conference revealed that actually there are so many designers who have this longing heart to seek God’s guidance in their practice, as well as to unite with other designers who are following the same path of faith. Please pray for Boston Creatio to find more designers and artists to realize their calling in God and work together in spreading the gospel through their practice.